Pod Point's 150kW charger can be scaled up from 50kW as the battery sizes and capabilities of electric vehicles increase. Image: Pod Point. Pod Point has become one of the first to launch a 150kW ready rapid charger in anticipation of a new wave of electric vehicles to have larger batteries and a need for faster charging. The high speed charging technology has a modular design to allow the units to expand as these newer models come online. Operators can specify 50kW chargers to meet the maximum speed of most commercially available EVs on the market, but can prepare for future advances in technology by specifying a 150kW+ transformer. This allows the chargepoints to be increased to 150kW+ at a later date, avoiding costly infrastructure upgrades. 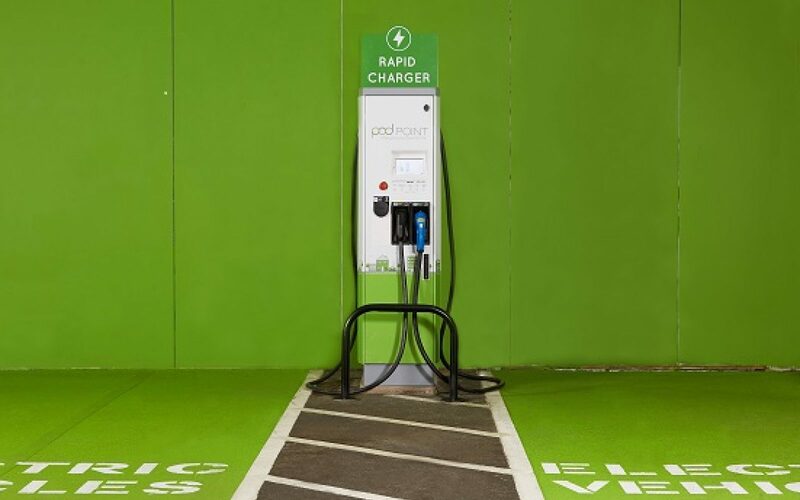 This choice is ultimately down to the customer and available power supply, Pod Point told Clean Energy News, but will allow customers to be ready for the full capability of the chargers to become ‘the norm’. “When the full capability gets used as 'a norm' depends on the availability of compatible cars. We're excited to see a number of models coming to the market this year and next which will have faster charging capabilities. “We're excited to see the Jaguar I-Pace arriving imminently. Next year and in 2020 we'll see the likes of the Audi E-tron range, Volkswagen ID and the Porsche Mission E. We're starting the rollout today to ensure this infrastructure is ready for the arrival of these next generation EVs,” a spokesperson said. The EV charging company expects the first of its high power rapid chargers to be installed in the first half of the year, most likely at strategic motorway locations for long journeys, when they will be added to the Pod Point Open Charge network. 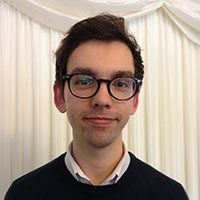 Erik Fairbairn, chief executive of Pod Point, said: “It will always be most convenient for EV drivers to charge their cars while not in use, such as overnight at home or at the workplace. But, access to rapid charging is still vital for those making long journeys, and these high power rapids will be ideal to support the new wave of premium EVs with en-route highway charging. Pod Point plans to significantly expand its public charging network in 2018, with rapid chargers a key plank of its growth strategy. The De Watering charging station near Amsterdam, designed by arcitect María García, offers 350kW charging. Image: Fastned. 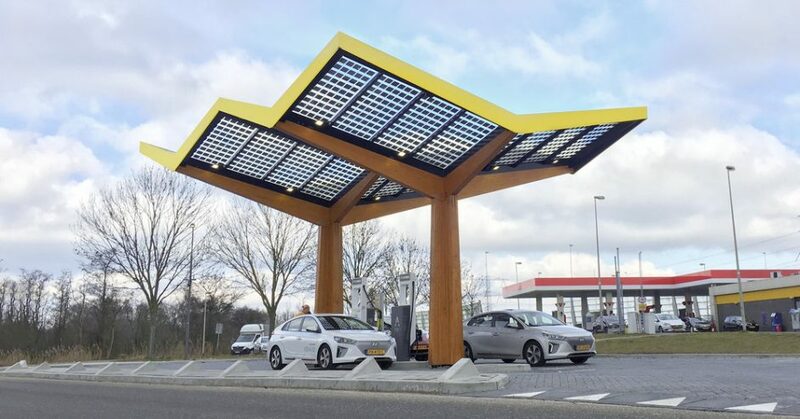 Dutch charging company Fastned has also this week unveiled its new generation of 350kW fast charging stations as a result of its partnership with technology provider ABB. The first modular station is already installed on a highway near Amsterdam and can allow EVs to charge up to 500km in 15 minutes. Like Pod Point, the charger has been developed to accommodate for the higher charging capabilities of the next generation of EVs. Bart Lubbers, co-founder of Fastned, said: "I am very proud of our new station…It’s very important to increase the charging speed, because it makes driving EVs attractive to more people. Because the question that almost every consumer asks is ‘how long does it take to charge?’"